As our friends and colleagues prepare to walk back into the classroom tomorrow and greet those innocent smiling faces we realize that this will be a most difficult day. We struggle with our own fears and emotions trying to grasp onto a concept that still feels so foreign and unimaginable. 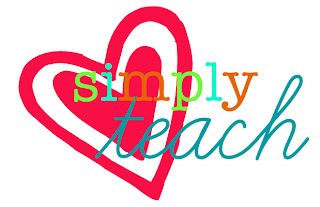 I have just one answer......it's quite simple we Teach. We teach children to believe in themselves and others, to have Faith and to show Grace. We teach through our actions not always our words. Your actions will show your students and your children how to navigate this world and how to make sense of it. As the bell rings and the morning starts you will teach. You will not need any special lesson plans or standards posted. You will do what you are born to do. You will do what you have been called to do. You will do what students need you to do more than anything else. You will teach. You change lives and touch hearts everyday, tomorrow will be no different. So as you rush in to your classroom tomorrow morning know that YOU make a difference, YOU are important and YOU are needed now more than ever. In light of recent events we wanted to make our resource kit on Emotions available to any teacher or parent who has children who are struggling with emotions and feelings that they can't control or verbalize. We hope that this kit can be used to give children's emotions a voice and start a conversation that will lead down a path of success not violence. To view our original post on how to implement this kit please visit here. The sheet below help younger children to express their emotions through their drawing. Just right click and save the image below to print for your class or little ones at home. Helping your children to see that they have the power within themselves to change the way they feel will give them encouragement to discover and work through their emotions. Click in the image below to visit our shop where you can get our entire kit for free. Our hearts and prayers go out to all of the families of Sandy Hook Elementary School. Our hearts are saddened, but our faith is ignited by your strong spirit.